Springboard Scotland Director, Kelly Johnstone, comments: ‘The key selling points of the site include: a clean, new structure which is easy to navigate; up-to-date advice for potential recruits and job-seekers; helpful tools to make the most of your CVs, covering letters and interviews; a comprehensive list of employers, all on the lookout for fresh new talent; and some exciting and engaging events. 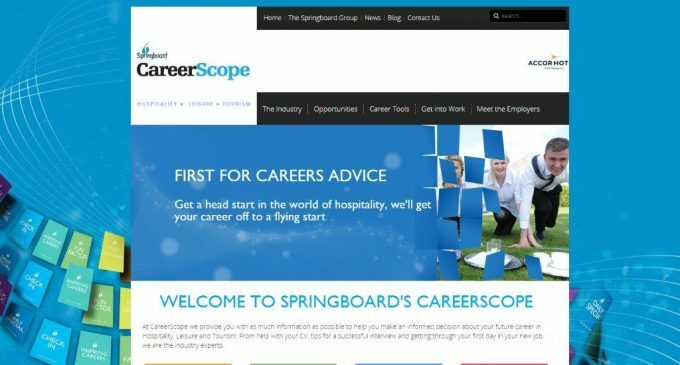 ‘We all need to promote the site to keep CareerScope true to our statement; that we are ‘first for careers advice in hospitality’. Visit http://careerscope.uk.net for more information.